Looking for a List of Crypto Funds? 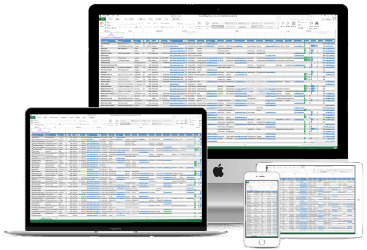 Get the only list of crypto funds covering more than 40 categories of information – all in Excel format. 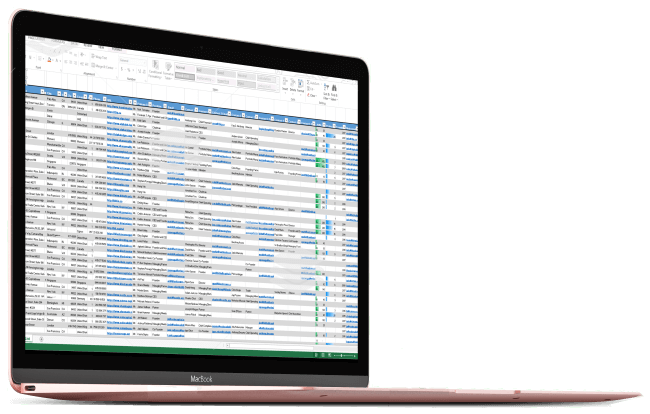 The list of crypto funds is delivered in .xls (Excel) and .csv formats for compatibility with virtually all spreadsheet programs and CRM programs. 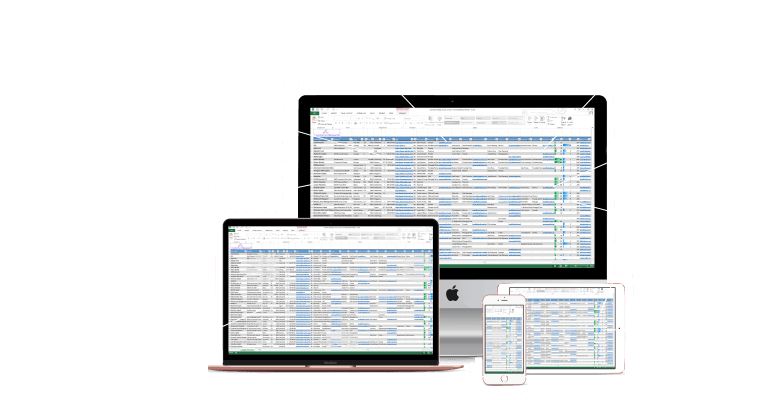 Any desktop, laptop, tablet, or phone with a spreadsheet program can open and sort the list. Complete your purchase and you will be immediately directed to a download link for the Crypto Fund List. You will also receive an email for downloading at a later time. You can download the crypto list on up to 5 devices. Crypto venture funds and hedge funds are being launched at an incredible rate. We know that you need timely, accurate, and reliable data. That’s why each crypto fund list purchase comes with 12 months of updates absolutely free. Every 30-60 days you will receive a link to download the most updated list of crypto funds. You will never be charged for updates. 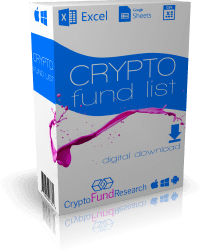 The Crypto Fund List is an Excel based download that contains detailed information on over 700 crypto funds / digital asset funds across the globe. These include cryptocurrency hedge funds, cryptocurrency venture capital, and cryptocurrency private equity. There are more than 40 columns of data on each fund. 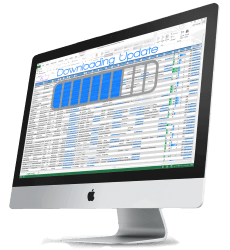 When you purchase the list of crypto funds, you will be able to download the list in both .xlsx (Excel) and .csv formats for compatibility with virtually all spreadsheet programs including Microsoft Excel, Google Sheets, and Open Office. 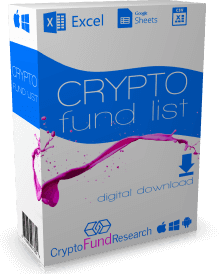 The Crypto Fund List is compatible with almost any desktop, laptop, tablet, or phone that has spreadsheet software. For example, Excel is available on both iPhone and Android mobile devices. Once you complete purchase, you will be directed to a download link. It will also be emailed in case you would prefer to download on additional devices (up to 5). Purchasing the Crypto Fund List takes less than 2 minutes. Immediately upon completion of purchase, you will be directed to a download link. You will also be emailed a link so you may download on additional devices. Easily search, sort, and filter the list of more than 700 cryptocurrency investment funds using virtually any spreadsheet program. Sort by assets under management, founded date, fund type (crypto venture capital or crypto hedge funds), prior investments, and more. Contact information available for crypto funds includes full address, phone/fax, website url, and up to 6 emails, including 4 executive emails. Crypto fund listings have up to 4 executive contacts (eg Founder, CEO, Partner) including name, position, email, and LinkedIn profile. In addition, we provide main company email and careers email (if applicable). Fund listings include 40+ columns of data. This includes address, phone/fax, website URL, up to 6 emails, year founded, assets under management (AUM), number of employees, and fund type (crypto hedge fund/crypto venture capital etc. ), top investments, and more. What’s included in your list of crypto funds? Your purchase includes an Excel (.csv and .xls) file with 40 columns of data on more than 700 funds. You will also receive updates free for 12 months. No. You will never be charged for updates. After 12 months you will simply stop receiving links to updated versions. When was the list last updated? The list was last updated March 27, 2019. You can purchase using most credit cards, PayPal, or even more than 50 cryptos. To pay with crypto click here. How do I know your information is reliable? We have been researching hedge funds and venture capital funds since 2007 and are the world’s largest provider of data on crypto funds. You can also check out a sample of the info we provide. What other services does Crypto Fund Research provide? In addition to our list of crypto funds, we provide consulting and advisory services. We also provide free research available to the media and public.